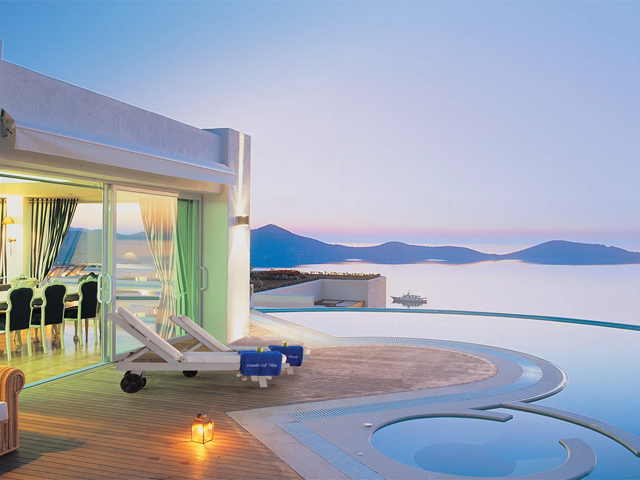 Elounda Ilion Hotel is an A' class Hotel surrounded by colourful gardens, offering unique and magnificent view. It is a peaceful oasis with an idealic environment that combines the intense nightlife of the famous city of Agios Nikolaos, and the charm of the fishing village Elounda. 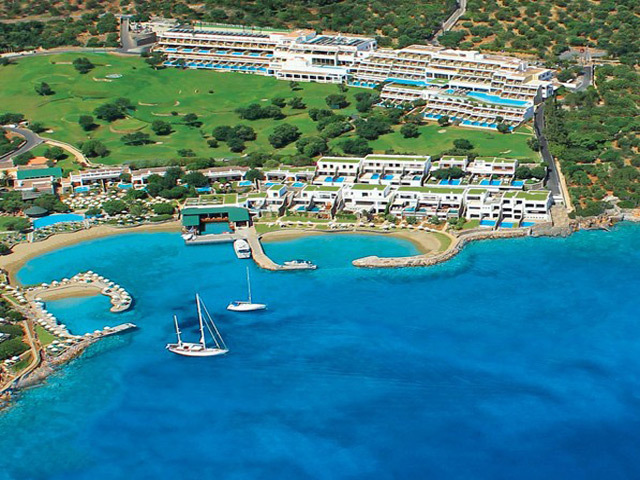 Elounda Ilion Hotel is a 4 stars hotel located on a slope overlooking the Mirabello Gulf and the Spinalonga Island. 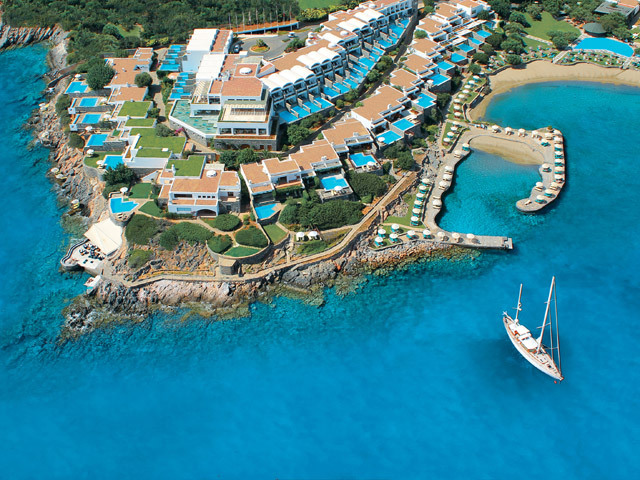 It is situated 4 miles from Agios Nikolaos and 1 mile from the fishing village of Elounda. They are rooms of a standard size and standard furnishing and offer partial sea view or garden view, with a terrace, bath, hairdryer, air conditioning unit, mini bar, satellite TV, safety deposit box and direct dial telephone. They are of a standard size, modernly furnished, with sea view, either balcony or terrace, bath, hairdryer, air conditioning unit, mini bar, satellite TV, safety deposit box and direct dial telephone. Comfortable bungalows, with traditional Cretan furnishing which offer sea view, with either balcony or terrace, bath, hairdryer, air conditioning unit, satellite TV, mini bar, safety deposit box and direct dial telephone. Very comfortable, totally renovated bungalows, furnished in a modern minimal style offering full sea view with either balcony or terrace, with a spacious bedroom, air conditioning, modern satellite TV, mini bar, safety deposit box and direct dial telephone. Comfortable rooms with a separate bedroom and a spacious seating with sofa bed or beds, traditional Cretan furnishing which offer sea view, with either balcony or terrace, bath, hairdryer, air conditioning, satellite TV, mini bar, safety deposit box and direct dial telephone. Very comfortable rooms, totally renovated with a separate bedroom and spacious seating with sofa bed or beds, furnished in a modern minimal style, which offers full sea view, with balcony or terrace, spacious bathroom, hairdryer, air conditioning, satellite TV, mini bar, safety deposit box and direct dial telephone. Very comfortable room, totally renovated with two separate bedrooms and a spacious seating with a sofa bed, furnished in a modern minimal style, which offers full sea view, a balcony, spacious bathroom, hairdryer, air conditioning, satellite TV, mini bar, safety deposit box and direct dial telephone. 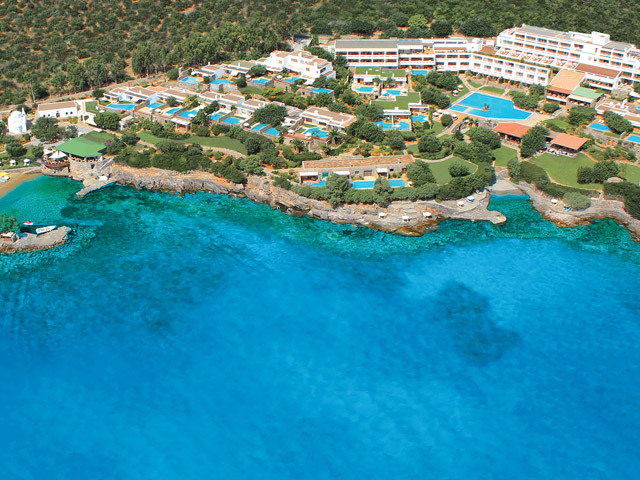 The Elounda Ilion Hotel has a Main Restaurant which is near the Reception. It serves Breakfast and Dinner with a buffet style. Breakfast hours are from 07.15 to 09.45 and dinner hours are from 19.00 to 21.00. The Main Bar is also near the Reception- Lobby area and is open from 18.00 until 02.00. There is a Happy Hour between 18.00 and 19.00 when there is a 30% reduction for all drinks. The Elounda Ilion Hotel's Snack Bar, Taverna and Mini Market Corner are open from 10.30 until 18.00. Lunch is served from 13.00 until 15.30.